Is Australia ready to be a winner in the 21st century? The first half of the 21st century is being dislocated by emerging technologies which have the potential to change every aspect of human existence: revolutions are occurring in data and artificial intelligence, the Internet of Things and robotics, genomics and materials technologies. While Australia has proven itself to be an adept adopter of technology in the 19th and 20th centuries, will the country be able address the societal questions that these new technologies raise: the meaning of work, the distribution of wealth, the regulatory environment for a new economic order, and enabling the whole society to benefit from the changes in the face of significant vested interests. Hugh will discuss the technologies that underpin these changes and why they are so impactful, as well as consider potential responses to the questions they raise. 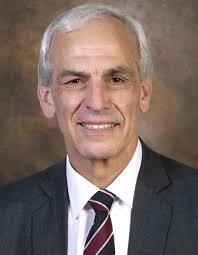 Hugh Bradlow is President of the Australian Academy of Technology and Engineering and formerly Chief Technology Officer and Chief Scientist of Telstra, Professor of Computer Engineering at the University of Wollongong and Professor of Electrical Engineering at the University of Cape Town.